Coffee shops are the new hangout zones and everyone is becoming so demanding whenever they are at a coffee shop. To maintain their business, these coffee shops are trying to get closer to customers by gifting them their signature tokens. 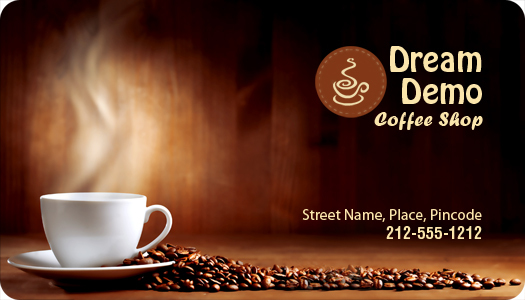 Going by trends, this promotional 2x 3.5 coffee shop business card magnet is being largely ordered by coffee shops in and around America to improve their chances heightening customer retention. Generally coffee shops are offering this custom 2x3.5 coffee shop business card magnet as goodwill token to all their customers because people love to be inundated with small gifts at all times. Also, a personalized 2 x 3.5 coffee shop business card magnet also makes a great giveaway during a mass event.